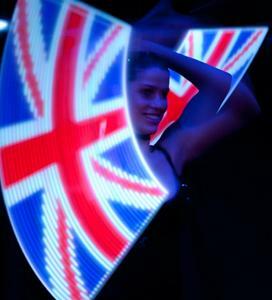 Specially tailored to encapsulate the excitement of the games, the London Shining Glow Show celebrates Great Britain with an LED Pixel-Poi® display including the Union Jack and salutes the host city with representations of iconic London landmarks. 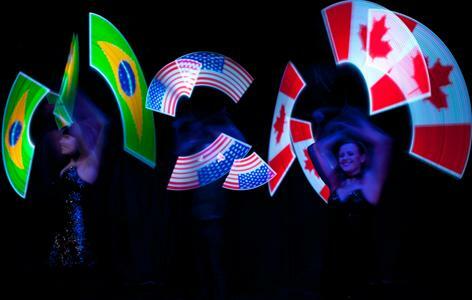 Perfect for British or Olympic themed events, this act is available as a duo, trio or quintet – the quintet can also include an Olympic rings display created with specially programmed Pixel-Poi®. If requested, the act can of course be customised to include a client’s choice of logo or branding as well as offering a choice of country flags to incorporate the international spirit of the games. The Glow Show is brought to you by the same performers that bring you Flux. The Guardian listed Flux’s Glow Show as a highlight of the 1997 Glastonbury Festival! 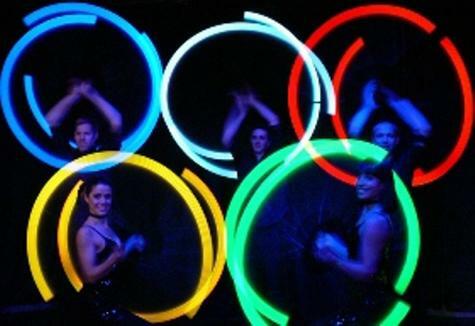 The Glow Show is suitable for corporate events, festivals, product launches, private parties, galas and variety theatre as well as having been adapted for nightclubs. Duo performance is 7 minutes. Trio performance is 8 minutes. Quintet performance is 8 minutes.